SNAFU! 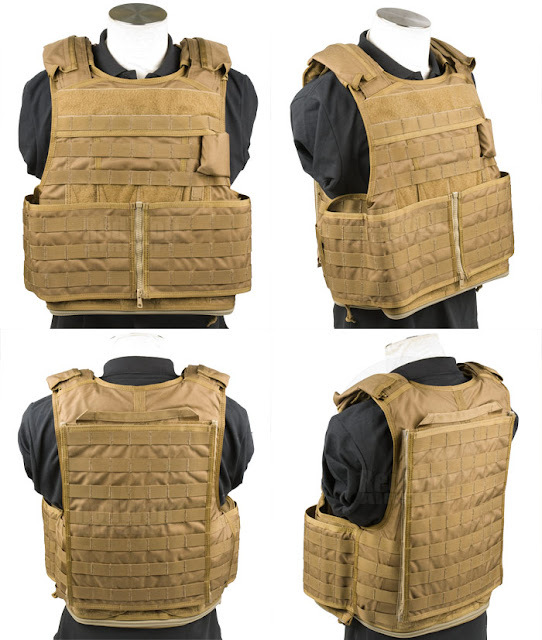 : NIJ's revised body armor standard!!! NIJ's revised body armor standard!!! The National Institute of Justice (NIJ) currently is revising its standards for the testing and certification of ballistic protection gear. NIJ Standard 0101.07 – which will replace NIJ Standard 0101.06 – is expected to be rolled out by the end of 2018. What do these changes mean to law enforcement? The NIJ is working with other government agencies to ensure that they are all following the same playbook. This means that NIJ, the U.S. Army, the National Institute of Standards and Technology (NIST) and others have been cooperating to harmonize laboratory test procedures and practices in ASTM Subcommittee E54.04, which addresses personal protective equipment (PPE). One of the best changes in the new version is that the threat levels have been renamed from unintelligible Roman numerals like II and IIIA to HG1 and HG2, and from III and IV to RF1 and RF3. A new intermediate RF2 was added. The lowest soft armor threat level called IIA – which includes 9mm at 1225 ft/s and .40 S&W – was dropped from the new standard. Bonus points for figuring out what HG and RF stand for – much easier, right? Another important change is that the test round velocities for conditioned armor (simulating that it has been worn) are now the same as those for new armor. For example, Level IIIA specifies that the .44 Magnum round is shot at 1340 ft/s for conditioned armor and at 1430 ft/s for new armor. In the new standard, the velocity for both conditioned and new armor is the same at 1430 ft/s. 9mm goes from 1245 conditioned1305 new to 1305 ft/s for both. More like real life, and also raising the bar for body armor manufacturers. Unlike the current and previous versions of the NIJ standard, which are comprehensive standalone documents, revision 7 will be made shorter by incorporating a substantial amount of information either by reference or by moving it to annexes. Of little interest to police, but of great interest to the testing labs, is a discussion of test barrels. In revision 7, the discussion has been removed and a reference to external documents published by the Sporting Arms and Ammunition Manufacturers’ Institute (SAAMI) takes its place. Because of the threat level changes, the missing section discussing the ballistic threat levels identified by U.S. law enforcement with associated ammunition is a must-read before issuing your next contract. Some changes make the document harder to read, but more detailed at the same time. For example, revision 6 has multiple tables that each list a stated requirement for all of the threat levels, such as fair hits. Revision 7 embeds the requirements in separate paragraphs, making rated level comparisons somewhat harder. This is beyond good news. I know many of you guys liked the old system but I've seen many guys rolling around in armor that could barely stand up to handgun fire (smaller caliber at that)...I personally blamed it on the naming convention. Roman numerals to denote the capability to stand up to X round? Now no one has an excuse for wearing substandard armor. If a dept won't pay for a vest that can stand up when hit by a large caliber pistol round you have no one to blame but yourself for not digging into pocket! About time NIJ. Well done.